If you live in Austin, you have one more day to catch Circus 1903 at the Long Center. 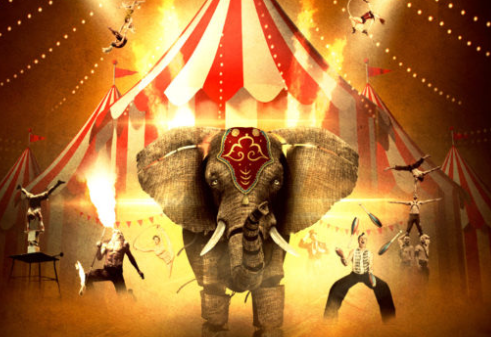 Chad and I marveled from our front row center seats at this magnificent circus complete with a wise & wise-cracking ringmaster, contortionist, strong man, trapeze artists, high wire act, acrobats, beautiful (puppet) elephants and more. Wow! Thursday, June 8th at the Long Center. Use discount code: ZACH for 25% off! I don't want to say too much about the show and spoil it. Chad and I both loved it, and we're a tough audience. Circus 1903 delights young and old. If you live in a city other than Austin, check out the official Circus 1903 website for tour dates in other cities by clicking here.